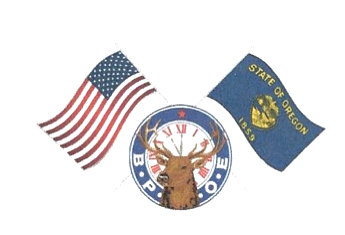 The Benevolent and Protective Order of Elks of the United States of America is one of the oldest and largest fraternal organizations in the country. Since its inception in 1868, the Order of Elks has grown to include more than 800,000 men and women in more than 2,000 communities. How could this powerful force have come into being? And where does all this charitable giving come from? From the generous hearts of Elks members whose eagerness to share, whose prudent long-term planning, and whose willingness to serve for free and with enthusiasm infuses the Order with an exuberant and enduring expression of the true volunteer spirit. Of note is the fact that the elected leadership of the BPO Elks — from the Exalted Rulers of the local Lodges to the national president, known as the Grand Exalted Ruler, as well as other decision makers at various levels — serve without salaries. The Elks organization is governed through democratic representation, with overall statutes set by voting at national conventions. The BPO Elks national headquarters is in Chicago. The Chicago campus is also the site of the Elks National Veterans Memorial building, and it is the home of the Elks National Foundation, the Order's charitable trust; the Elks National Veterans Service Commission; and The Elks Magazine, the official monthly publication that is sent to every member of the Order. Thank you for your continued support of the Oregon Elks Children’s Eye Clinic new building. We would like to thank everyone who has purchased the See Note pin for $100. We have a new donor opportunity to share with you to build on your $100 contribution! When you reach the $1,000 dollar contribution level, we will acknowledge your generous donation with the limited edition Oregon Elks Children’s Eye Clinic pin. Some of you have already reached this level. We will have the new pin ready for you by Summer Convention. Because of your See Note pin donation, you are the first to know about this opportunity. Only 200 pins will be made, so don’t miss this chance. You have several options to donate. You can write a check or pay using a credit card. A monthly payment plan is also available, but must be completed before July 2020. Consider donating today to the Elks Children’s Eye Clinic building.